Sayyidi Habib Umar bin Hafiz (may Allah protect him and benefit us by him) recommends reciting the following adkhar every day with the intention of bringing relief and protecting Masjid al-Aqsa from being violated. 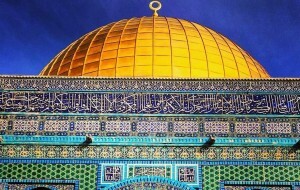 Allahumma salli wa sallim ‘ala sayyidinaa Muhammad alladhi asrayta bihi min al-masjid’il-harami il’al-masjidil aqsa, wa a’rajta bihi ilassamaawatil ‘ula, wa ‘ala aalihi wa sahbihi khayri’l-mala, wa ‘ala man tabi’ahum bi ihsaan, wa ayqidh quluba’l-muslimin, wa rudda kayda a’daika minal yahudil mu’tadina ‘ala bayti’l-maqdis, wa kulli man waalaahum min ahli sharri fil ardh, wadfa’ sharrahum wa durrahum ‘anna wa ‘an ahli laa ilaaha ill’Allah, wa alhimnaa rushdanaa fi kulli harakatin wa sukun, ya Arhamarraahimin! 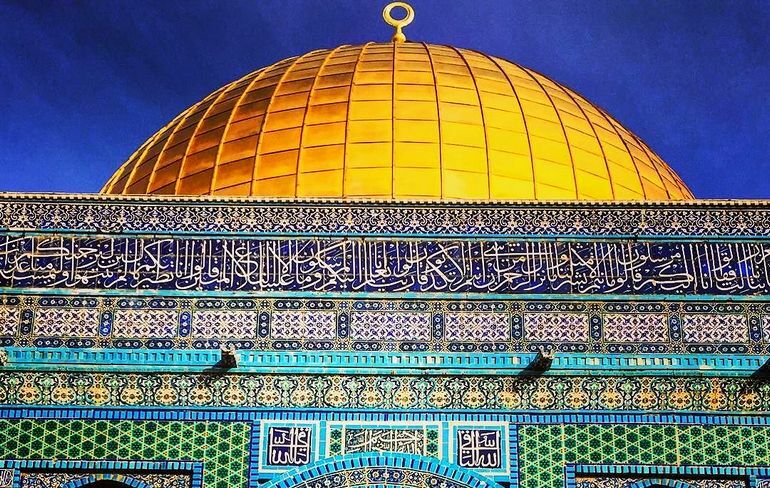 O Allah, bestow Your prayers and peace upon our Master Muhammad, the one who You caused to travel by night from the Masjid al-Haram to the Masjid al-Aqsa and then raised to the highest heavens and upon his Family and Companions, the best of people and upon those who follow them with excellence. May Allah awaken the hearts of the Muslims and foil the plots of the aggressors, Your enemies who are violating Bayt al-Maqdis and all those who support them among the people of evil on the earth. May He protect us and all the people of la ilaha ill’Allah from their harm and evil and may He inspire us to do what is right in every moment, O Most Merciful!